 Housed within the Marcus Performing Arts Center, Sazama’s Fine Catering is the exclusive catering provider for all event spaces within the facility. For detailed information regarding the numerous event spaces available, contact the Sazama’s team using the contact information below or reach out to an event manager using the Book an Event button at the top of this site and you will be contacted with more information within one to two business days. Multiple styles of event space to accommodate groups of 25 – 2,300 guests. As Wisconsin’s premiere Riverwalk venue for performances, business meetings, receptions, annual meetings, fundraising galas, and more, the Marcus Performing Arts Center offers an elegant event space to suit any style of event. Likewise, covered parking with skywalk access, state-of-the-art audiovisual technology, and 24-Hour Security support the requirements of nearly any style gathering. Recently, the Marcus Center completed an extensive exterior lighting project, transforming the building exterior and elevating its neighborhood presence to serious showstopper status. In addition, this stunningly exquisite space boasts on-premise catering by Sazama’s Fine Catering, a subsidiary of Saz’s Hospitality Group; renowned for The Finest in client service and brilliant cuisine. With a variety of structured packages available, Sazama’s Fine Catering can coordinate every aspect of your event date from group ticket bookings and transportation to pre- and post-show receptions with custom-themed food and beverage menus. Schedule a tour of the facility today to explore the best fit for your event and theater outing needs! For detailed information regarding any of the Marcus Center’s event spaces, contact an event manager for Sazama’s Fine Catering at 414.276.2030 or email info@sazamas.com.